For use after strenuous exercise to cool, soothe and tighten hot tired legs. 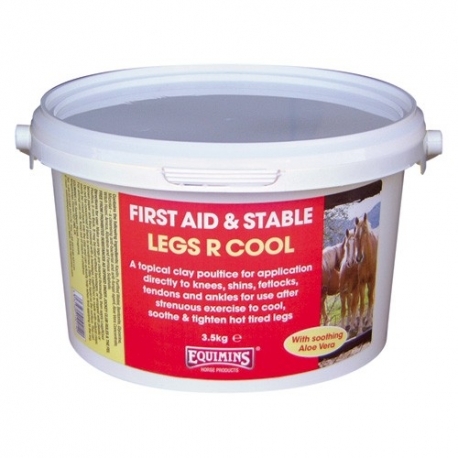 A topical clay poultice for application to knees, shins, fetlocks, tendons and ankles after training. Legs R Cool is manufactured from natural clays. Do not be concerned if there is sometimes a little free liquid on the surface of the tub. This can easily be mixed back into the clay and can actually help when first applying to the leg. Available in 3.5kg and 7kg tubs. 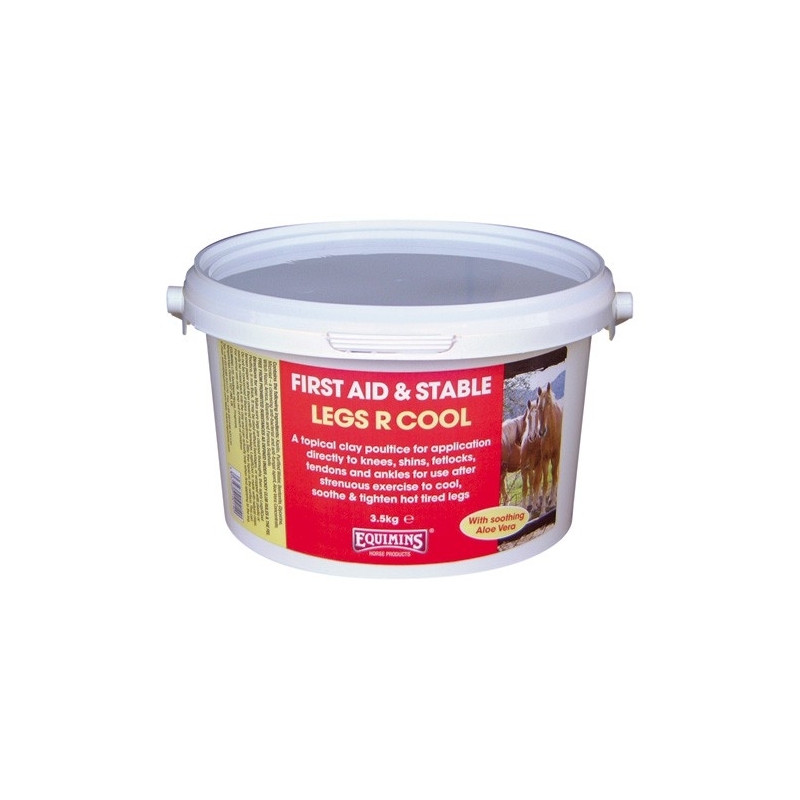 Make sure legs are cleaned thoroughly, then apply LegRCool, around 5 mm thick. It may be used without bandages, or wrapped with plastic or brown paper and then covered with a bandage. Store below 20 degrees C.